Ceramics from China, Japan, Central Asia, and South and Southeast Asia mark the Silk Road and Silk Maritime routes as well as points of new cultural contact. Ceramic wares across the regions are displayed to create a visual dialogue that highlights the inspiration each culture owed the other. Kogo are small containers that house pieces of incense wood or blended aromatics for ceremonial use. They come in a variety of shapes, sizes, designs and materials. This exhibition features sculpture from throughout Asia made from stone, ivory and wood, dating as far back as the 4th – 5th century. 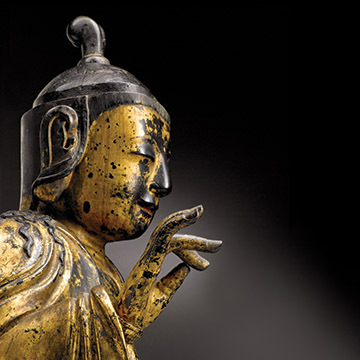 It examines various religious traditions side by side to demonstrate the multiple forms and functions sculptures had across Asia. Chinese jades and glass works from the Ming (1368 – 1644) and Qing (1644 – 1911) dynasties are featured in this exhibition. 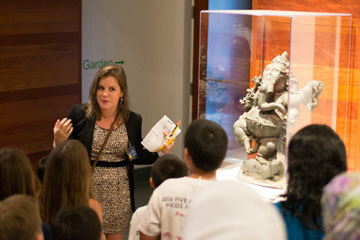 Intricate carvings of landscapes and animals, as well as vessels, demonstrate the importance of jade to China’s artistic traditions and creative imaginations. 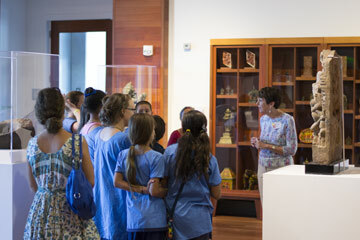 Paintings, ceramics, sculpture and folk materials from the first several centuries CE through the early 20th century are on display. The majority of the works were given to the University of Florida in 1988 by General James A. Van Fleet. This exhibition is generously supported by the AEC Trust, Korea Foundation, and the Korea Cultural Heritage Administration. The Harn and UF George A. Smather's Libraries created an online area to provide more about the Harn's Korean art on display, including recent conservation made possible by the Korea Foundation and research made possible by North Florida Regional Medical Center and Shands at the University of Florida. 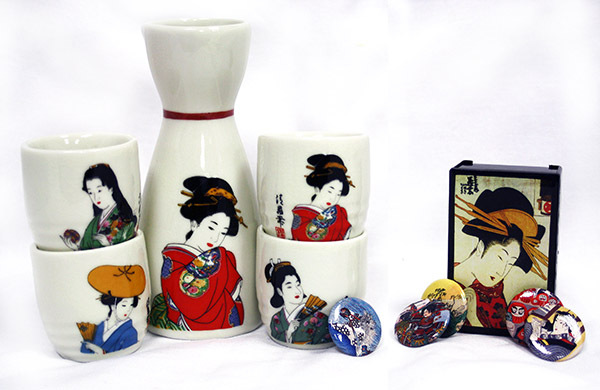 Visit our store for items such as a saki set made in Japan or mint box inspired by our Asian collections.